LP, MC & 8track, Polydor, 1972. 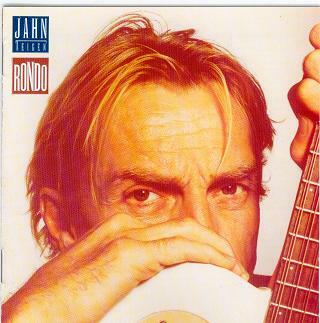 CD, Polydor, 1990. CD, Expertise, 2004. 2013 Universal Music Norway – LP – 602537441679. Polydor – 8track 3842 002. This edition on Expertise Records is a Russian edition released in 2004. 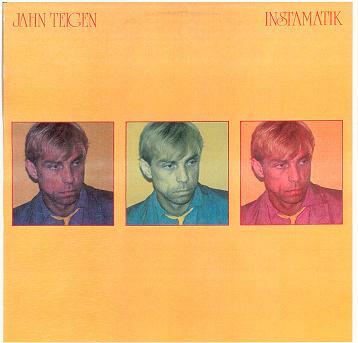 The two different editions are described below.This album came out with four covers. The first is on one kind of paper. The second one has Matte paper. The third one has more normal paper. The fourth one is on laminated paper.The first album had an error on the cover also. This is an album with a “Fold-Out” cover. 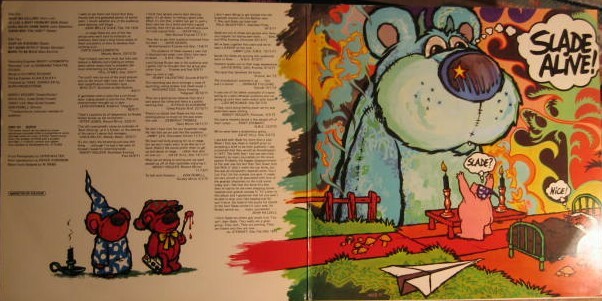 on the inside of the “Fold-out” is the cover of Slade – “Alive”. This 8 track tape was recorded in Rosenborg Studios in 1972. 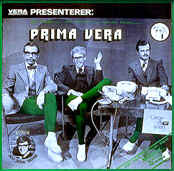 This album had an error on the cover also. This is an album with a “Fold-Out” cover. on the inside of the “Fold-out” is the cover of Slade – “Alive”..
LP, MC & 8track Polydor, 1973. CD, Polydor, 1990. Polydor – LP 2382 038 In a carrybag, inner-bag with lyrics. Polydor – LP 2382 038 In a carrybag,. Shiny cover, inner-bag with lyrics. Polydor – LP 2382 038 In a carrybag, Rugged cover, inner-bag with lyrics. Polydor – 8track 3842 008. The two different editions are described below. LP – Polydor – LP 2382 038-1973. Sample Record – Not for sale. LP, MC & 8track, Polydor, 1973. 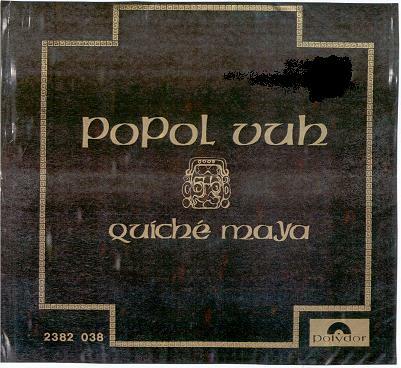 CD, Polydor, 1990. CD, Expertise, 2004. This 8 track tape was recorded in Roger Arhoff studio fall 1973. Quiche Maya was also released without the famous Carry-bag. On LP and Cd. And the cover of both is shown to the right. Mercury – LP 6317 503. With a pamphlet of 24 pages. Print on innercover. Black label. Mercury – LP 6317 503. With a pamphlet of 24 pages. Print on innercover. Skyscraperlabel. Polydor – LP 2480 332. With Poster. Print on innercover. 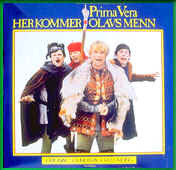 Polydor – CD 843 173-2. Japanese Edition – w/obi strip. German edition – W/red fonts on the front. Polydor – LP 2480 332.France edition – Polydor – CD 843 173-2. 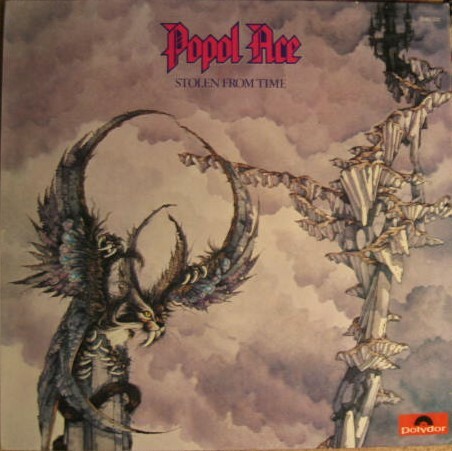 Polydor – LP 2480 332 – 1975. German edition with the red fonts on the front. 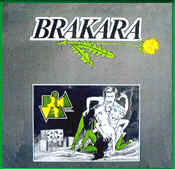 Promo, released in Germany in 1976. This is PROMO, released in Japan in 1976. Polydor – LP 2382 080. With lyrics at the innercover. RCA Victor – LP – CL 40 020. With Print at the innercover. This tape shows the song titles. This tape shows no song titles. Also the label on the tape is different in design. RCA Victor – LP – PL 40 028. With print on the innercover. RCA Victor – LP – PL 40 028. Fold Out cover. With print on the innercover. This innercover is in French. 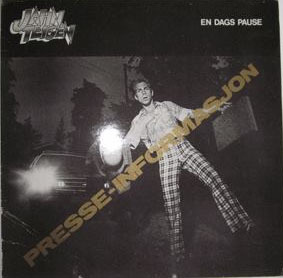 Album was pressed in France, Paris – 1978. Sonet – LP – SLP 1481 NB! Album was pressed in 1984. 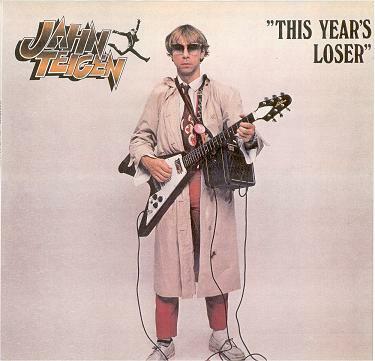 All these different releases of “This years loser” had the same cover. RCA Victor – LP – PL 40 029. With Pamphlet. With print on the innercover. RCA Victor – LP – PL 40 153. With text on the innecover. PL 40 153. PROMO LP. NO COVER. EMI Norsk A.S. – CD 7243 524284 2 7. This CD was released in 1999 – Digitally Remastered. RCA Victor – LP – PL 40 163. With Fold Out cover. RCA Victor – LP – PL 40 179. With lyrics and pictures on the innecover. 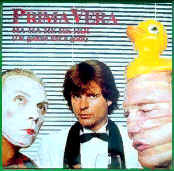 This tape was released with two different covers as shown below. RCA Victor – LP – PL 40 233. With the “Royal Cover”. Fold Out cover. RCA Victor – MC – PK 40 233. With the “Royal Cover”. Was also released on Sonet.NB!! 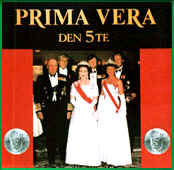 Prima Vera With the “Royal Cover” was drawn back from the shelves after just 2 days. Only 11.000 copies were made. RCA Victor – LP – PL 40 233. With gray pants. Fold Out cover. RCA Victor – MC – PK 40 233. With gray pants. Was also released on Sonet. RCA Victor – LP – PL 40 233. With green pants. Fold Out cover. RCA Victor – MC – PK 40 233. With green pants. Sonet – LP – SLP 1479. With green pants. Fold Out cover. Sonet – MC – SKA 1479. With green pants. RCA Victor – LP – PL 40 222. With print on the innecover. RCA Victor – LP – PL 40 243. With print on the innecover. The tape RCA Victor – MC – Pk 40 243 was released with a bright yellow color, and the cover was darker yellow. The cover is dark yellow. The cover is bright yellow. Swedish edition of Klar dag/Instamatik. In Sweden it was just called INSTAMATIK. RCA Victor – LP – PL 40 254. With fold out cover. This is the RCA edition. This is the SONET edition. Sonet – LP – SLP 3096. Print on the innecover. EMI Norsk A.S. – CD 7243 5393 182 7. This CD was released in 2002 – Digitally Remastered. HMS – LP – HMS – 50-14. 709/5. Print on the innecover. This is the album from Argentina. Was released there in 1983. The Tape EMI Norsk A.S. – MC 264 7911314 was released with black and red color on the cover. This one was also released as a Promo. EMI Norsk A.S. – CD 743 8 548292 2.S. Promo box. This one was also released as a Promo, as shown below. Not for sale. PROMO EDITION. Promo – Promo Cd with only six selected songs from the main album. 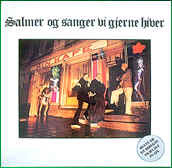 On the Second edition of “Fra null til gull” , “Sala Palmer” has been spelled right. 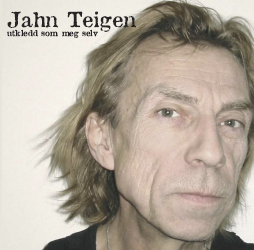 CD, EMI Music Norway A. S. Of 2011. 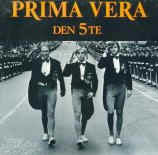 EMI Music Norway A. S. – CD – 5099973 123422 This is the CD & DVD is taken from: From Tønsberg. 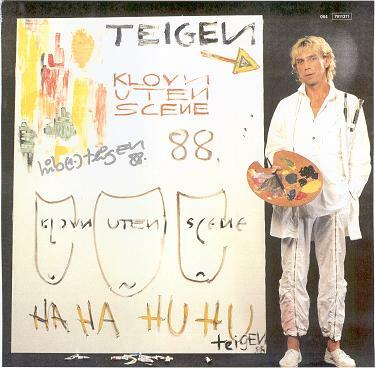 This is Jahn Teigen’s first Live CD.